Product categories of Surface Active Agent TC-1000, we are specialized manufacturers from China, Surface Active Agent Tc-1000, Surface Active Agent suppliers/factory, wholesale high-quality products of Surface Active Agent For Electronic Chemicals R & D and manufacturing, we have the perfect after-sales service and technical support. Look forward to your cooperation! Tiancheng Chemical Co., Ltd. is a collectivized high-tech multi-function fine chemical enterprise, integrated with science, industry, trade and research, which is mainly engaged in paper chemicals, Water Treatment Chemicals, rubber and plastic chemicals, agricultural pharmaceutical intermediates, basic chemical materials, Food Additives, detergent additives and Electronic Chemicals. 1. In the filed of cosmetics, detergents, wool detergents: With the continuous improvement of people`s living standards, the demand for cosmetics, washing products and cleaning products is continuously increasing. As a monomer, the surfactant is applied to many fields, but also use with non-ion preparations jointly, with the function of penetration, humidification, washing and electrostatic elimination, providing help and support for improvement of people`s life and quality of life. 2. In the field of electronic chemicals: the surfactant can be used in cleaning preparations of the electronic products, with the function of washing and electrostatic elimination. 1. Storage condition: This product is stored in a cool and dry place (5-30 ℃) to prevent open-air exposure and freezing. 2. If the product storage temperature is below -15 ℃, there will be crystalline polamer. Before using, please heat and stir evenly, not affecting the product quality. 3. The product is slightly acidic. If it is accidentally into the eyes, please wash with water immediately. 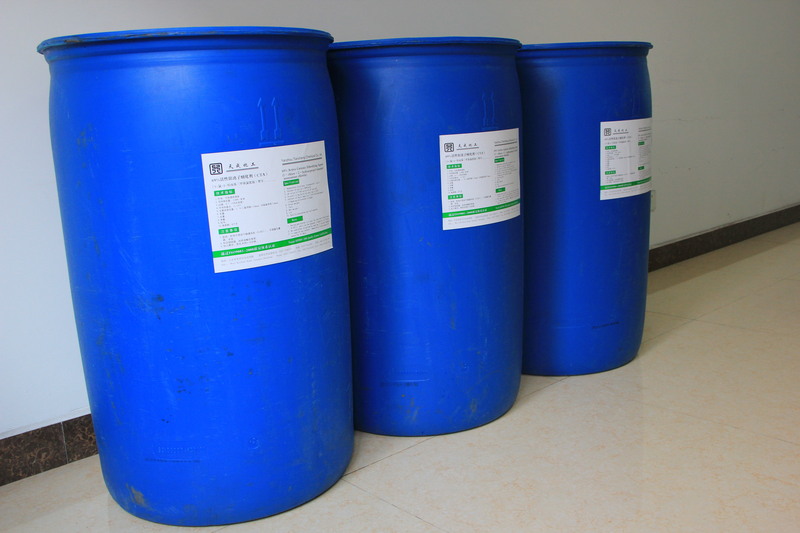 250 kg plastic drum; IBC tons of barrel; Flexitank.